500ML Console includes dust cover, AC input cables, USB key drive, LED desk lamp, and quickstart guide. 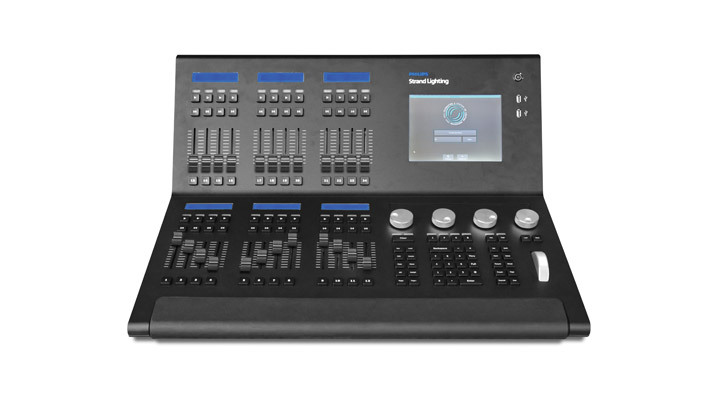 The 500ML lighting control console is designed to operate dimmers, LED fixtures and moving lights. An 8-inch TFT color touchscreen allows for fast set up. Backlit command buttons aide in the ease of use. If required, the unit has one external DVI port to add a touch monitor to give even more control. 24 faders, each may be used as a master, submaster or playback. Equipped with backlit play, pause / reverse and bump buttons allowing cue stacks to be triggered as required for busking ‘moments’. Using industry standard methods of control, the user interface is quick to understand, allowing the operation to appeal both to the casual and professional operator alike.